I know I speak for our board and my colleagues when I say that we were deeply moved, and hugely energised, by the response to our Human Rights Awards Dinner held last Sunday. 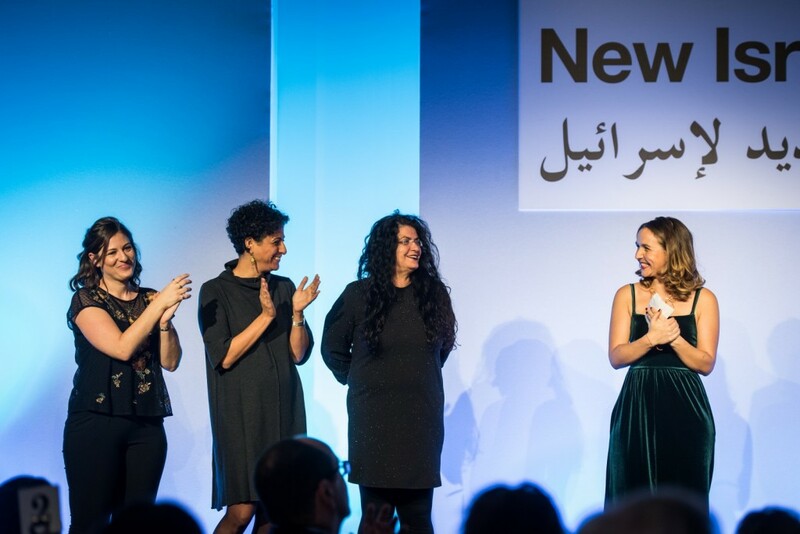 It was an honour to have had the opportunity to recognise the incredible achievements of both our award winners and the wider network of NIF grantees and projects, who are all working tirelessly towards equality and justice in Israel today. NIF’s work promoting democracy in Israel is more important and more relevant now than ever. We are committed to facing these new challenges head-on, and the presence of so many committed and passionate people on the night was a touching reminder of how much support we have behind us. I’m delighted to announce that this was a record-breaking year for NIF. Not only did we host 540 guests, making this the largest ever NIF event in the UK, but with your generosity we raised a staggering £575,000, an incredible achievement ensuring that together we can continue to pave the way for equality and social justice in Israel. On a less tangible note, there was a collective energy and sense of togetherness in the room that I know was felt, and commented on, by many people. It speaks to the resonance of NIF’s core values and vision for Israel, and to the power of the messages voiced by our Award Winners and speakers throughout the night. That is not to say, of course, that everyone it that room saw eye to eye on the more divisive issues affecting Jewish communities in the UK and Israel. Yet everyone in that room was united in their concern for the future of Israel, and in their belief in an Israel in which everyone is treated with dignity, in which a shared society can truly take root, and in which Jewish life is inclusive in every respect. Thank you once again for sharing in the success of our Award Winners Sikkuy, Hotline for Refugees and Migrants, Achoti, and ASSAF, and for supporting our work.